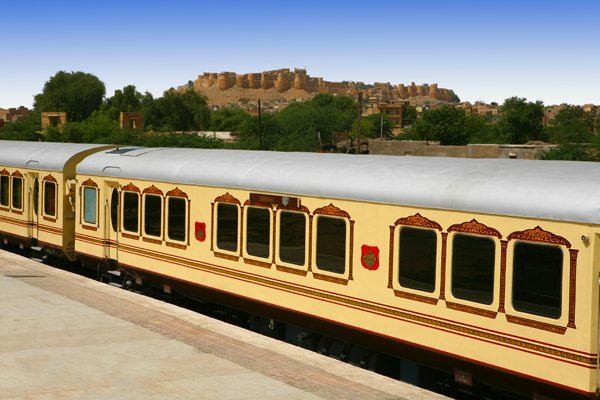 The splendid & enchanting Palace on Wheels journeys through the bygone era of the former Maharajas. Though times have changed and the winds have shifted, the Palace on Wheels cruises along in royal style, the kind only the Maharajas of yesteryear could have perpetuated and enjoyed. The exquisite and exclusive Palace On Wheels has luxurious cabins, wall to wall carpeting, a well-stocked bar, two dining cars and a very personalised service, the perfect transport for your journey through incredible India! 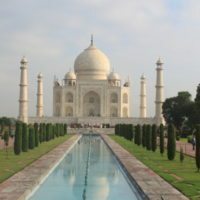 8 night / 9 day vacation, including an overnight stay in Delhi and 7 nights on board the Palace on Wheels with all meals included, plus transfers and meet & greet service between airports, stations and your hotel in Delhi, excursions and your hotel on a bed and breakfast basis from £3,495 per person (based on 2 people travelling together). 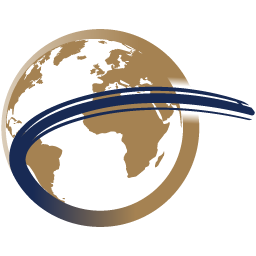 Return flights from the UK are not included and can be booked for you. Please ask us for details and prices. Your vacation begins as you arrive into Delhi’s International Airport. As you exit the airport a representative from our partner company, will meet you and transfer you to your luxurious hotel for your overnight stay, The Claridges (5 star). 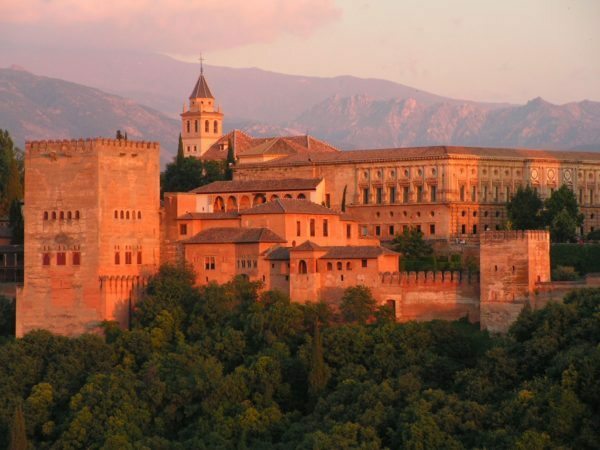 You might like to spend the afternoon relaxing at the hotel or start by discovering this fascinating city. 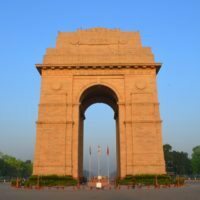 India’s capital and a major gateway to the country, Delhi is a bustling metropolis, which successfully combines in its many and varied layers – the ancient with the modern. Set amongst the imposing skyscrapers are the remnants of a bygone era in the form of its many fascinating and splendid monuments, which stand as silent reminders of the region’s ancient legacy. 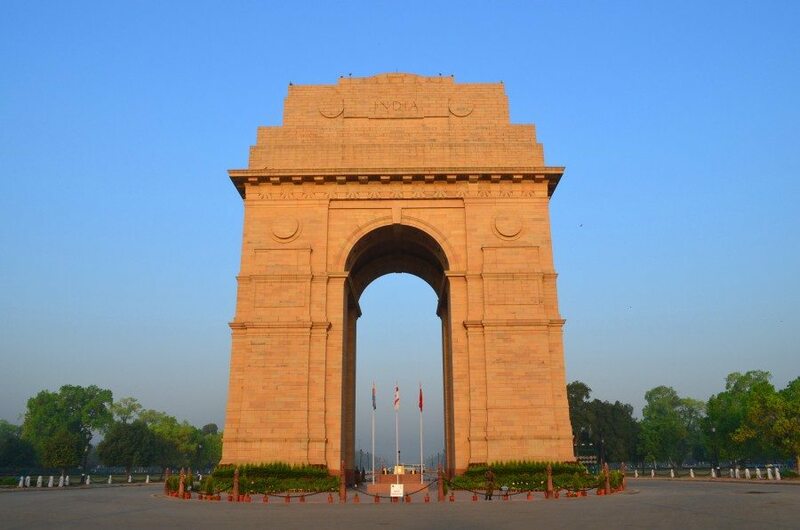 As you travel into Delhi from the airport your first impression will be of a spacious, tree-lined garden city with a number of beautiful parks. This morning after breakfast you set off for your orientation tour of Delhi. In Old Delhi you will visit the 17th century Jama Masjid and walk through the narrow, winding lanes of colourful and bustling Chandni Chowk. Here you have the option of taking a rickshaw ride through these colourful and scent-laden bazaars before you visit the Red Fort, the Mughal Empire’s most opulent fort and Raj Ghat, where Mahatma Gandhi was cremated. You then drive past The Presidential Palace, the one-time imperial residence of the British viceroys, the India Gate, a memorial raised in honour of the Indian soldiers martyred during the Afghan war and a drive along the Rajpath past the Parliament House and secretarial buildings. This afternoon, you will be transferred to Safdarjung Railway Station to begin your fabulous journey on board the Palace on Wheels. On arrival into Delhi’s Safdarjung Railway Station, you are greeted with a warm and traditional welcome before boarding the Palace on Wheels. You will be escorted to your cabin and given a brief familiarisation tour by the Khidmatgars (your on-board steward) with a welcome drink, as you start the week-long journey through Rajasthan. One you have settled in to your compartment it will be time for dinner as you begin your overnight journey to Jaipur. This morning breakfast is served in the comfort of your sleeper cabin. The first stop of the Palace on Wheels is Jaipur, one of the most well planned cities of the world in its time. 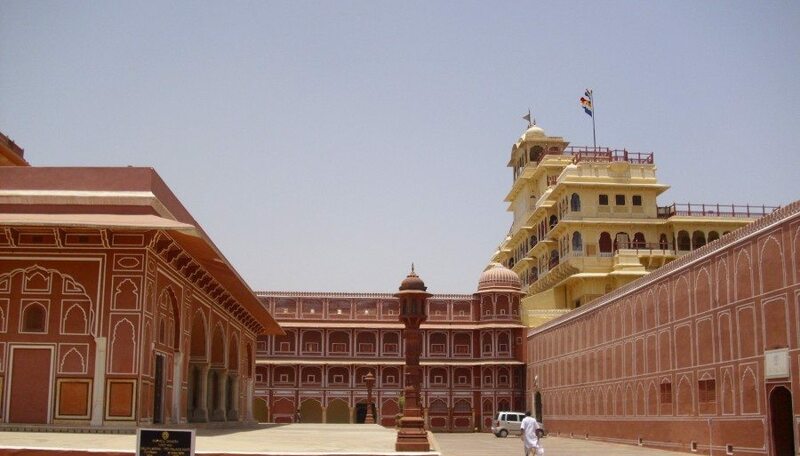 This capital city of Rajasthan, popularly known as the Pink City, was founded by Maharaja Swai Jai Singh II in 1727 A.D. To explore the city, an air-conditioned coach takes you to Hawa Mahal, also known as the Palace of the Winds, which is a remarkable five storied building along the main street of the old city in pink splendour with semi-octagonal and delicate honeycombed sandstone windows. This is followed by a visit to the Amber Fort, where rides on caparisoned elephants add memorably to the ambiance. 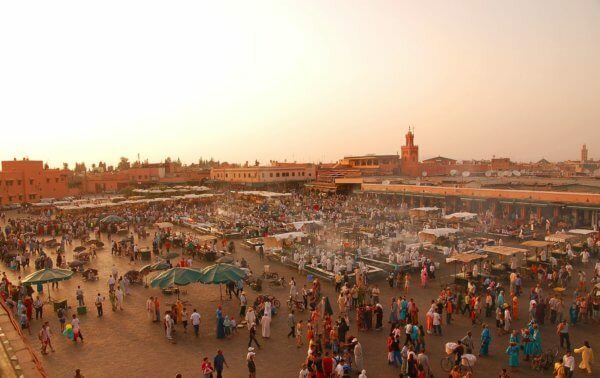 Later, you may enjoy shopping for Jaipur’s famous jewellery, handicrafts, carpets, blue pottery and textiles. After lunch at the Palace Hotel, you are off to the City Palace, home of the former royal family. Right across the road from the City Palace is the Jantar Mantar, the largest observatory built by the Sawai Jai Singh II. The luxury coaches take you back to the Palace on Wheels where dinner is served on board, before your onward overnight journey to Sawai Madhopur. You can almost sense the connection with the wilderness as the Palace on Wheels arrives in Sawai Madhopur, a city named after its founder Maharaja Sawai Madho Singh I. After breakfast, visit the Ranthambore National Park, where the ruins of a 10th century fort are located. This wildlife sanctuary is considered to be the country’s best for observing and photographing the activities of the tiger. The park, covering an area of 392 square kilometres is also home to more than 300 species of birds. The tiger, hyena, ratel, jackal and fox are among those which make up the carnivorous population here. Sawai Madhopur is known for its exclusive toys, ethnic ornaments and costumes. 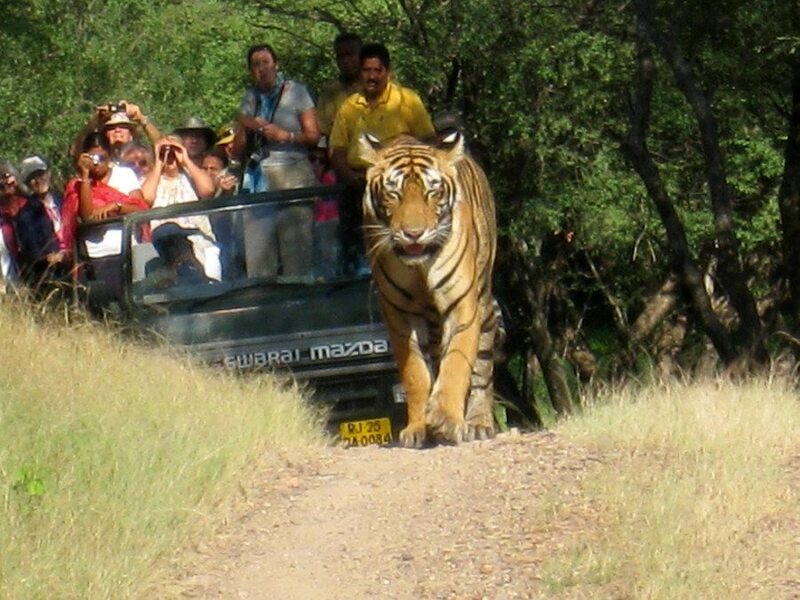 (Please note that the Ranthambore National Park is closed during the month of September, instead guests will be taken to Mansigh Sanctuary). Upon your return to the Palace on Wheels, you depart for Chittaurgarh, en-route you have the opportunity to watch the colourful countryside passing by during the daylight. After lunch on board you arrive into Chittaurgarh. This land of glory and valour is bound to leave you enchanted, casting images of love and bravery, and displaying scars of battles won and lost at the thrice-besieged Chittaurgarh Fort. The luxury coach will then take you back to Palace on Wheels for dinner. 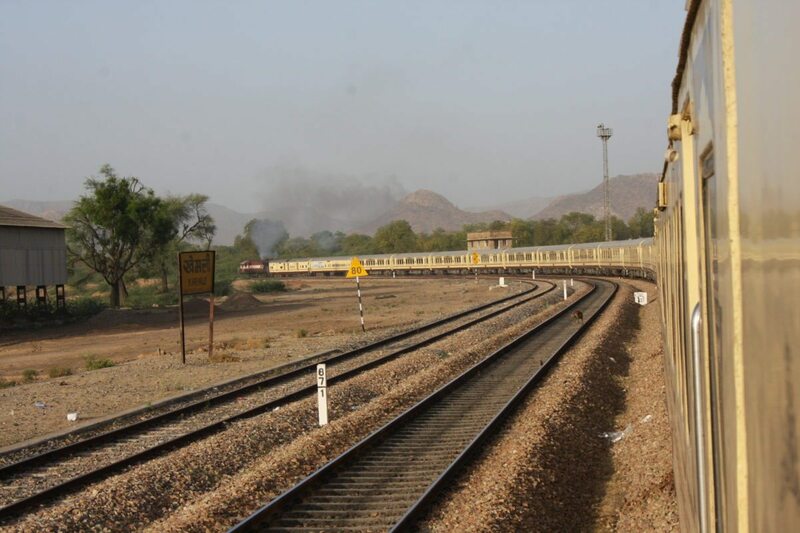 Your ‘hotel on wheels’ stays in Chittorgarh station until the early morning before departing for Udaipur. 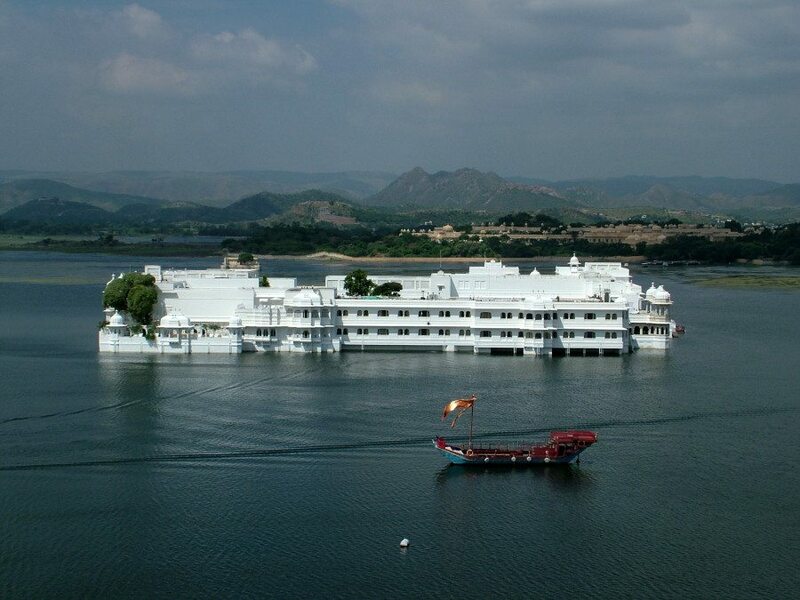 This morning breakfast is served in your sleeper cabin before you arrive into the Lake City of Udaipur, founded by Maharana Udai Singh of Mewar in 1559 A.D., after the Sisodia dynasty was driven away by the Mughals. 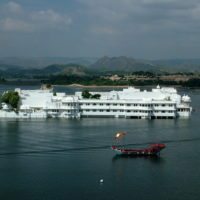 Perhaps the two most beautiful sites of Udaipur are the dream-like marble palaces – the Jag Niwas (Lake Palace) and the Jag Mandir, which appear to rise from the blue waters of Lake Pichola. After lunch at one of the fine hotels, take an exhilarating visit to the City Palace before your luxury coach transports you back to the Palace on Wheels for dinner. Enjoy breakfast this morning served in your sleeper cabin. 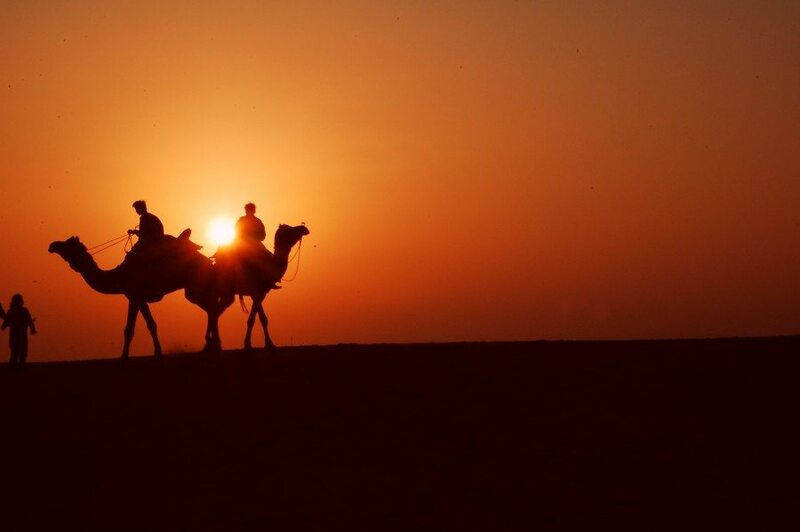 In the heart of the Thar Desert lies Jaisalmer, founded by Rawal Jaisal in 1156 A.D. Here the yellow sandstone fort is an imposing sight, towering magnificently over the city. Discover the painstakingly latticed havelis or mansions with their grand facades. The Nathmalji-ki-haveli, Patwon-ki-haveli and Salim Singh-ki-haveli are fine examples of the stone carver’s skill. You then have the opportunity to shop for fine pattu shawls, mirror work, embroidered articles, wooden boxes, trinkets, silver jewellery and curios. After lunch on board, prepare for an exciting camel ride on the sand dunes of Sam, before sipping a refreshing cup of tea. 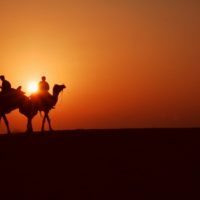 The luxury coach will then take you back to the Palace on Wheels, where you can enjoy dinner before a cultural programme at a hotel in Jaisalmer. 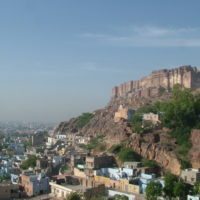 This morning you awake to breakfast served in your sleeper cabin, as the Palace on Wheels arrives into Jodhpur, a city ringed by a high stone wall with seven gates and several bastions. This second largest city of Rajasthan, founded by Rao Jodha in 1459 A.D. is known for its rock-solid Mehrangarh Fort. 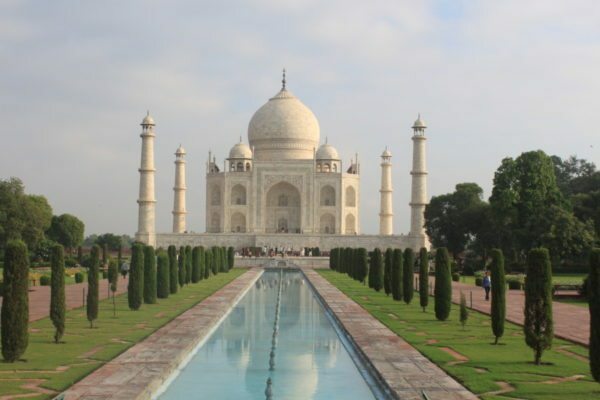 The grand palaces within – Moti Mahal, Sheesh Mahal, Phool Mahal, Sileh Khana and Daulat Khana are impressive examples of architectural excellence. 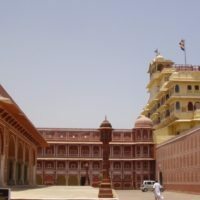 Close by the fort complex lies Jaswant Thada and a group of royal cenotaphs made of white marble. While in Jodhpur you can shop for exquisite handcrafted articles including the famous breeches, embroidered shoes, metal curios, silverware, paintings and tie dyed fabrics. Your luxury coach will then convey you back to the Palace on Wheels for another culinary delight for dinner this evening. Early this morning, the train arrives in Bharatpur, the capital of Maharaja Suraj Mal. 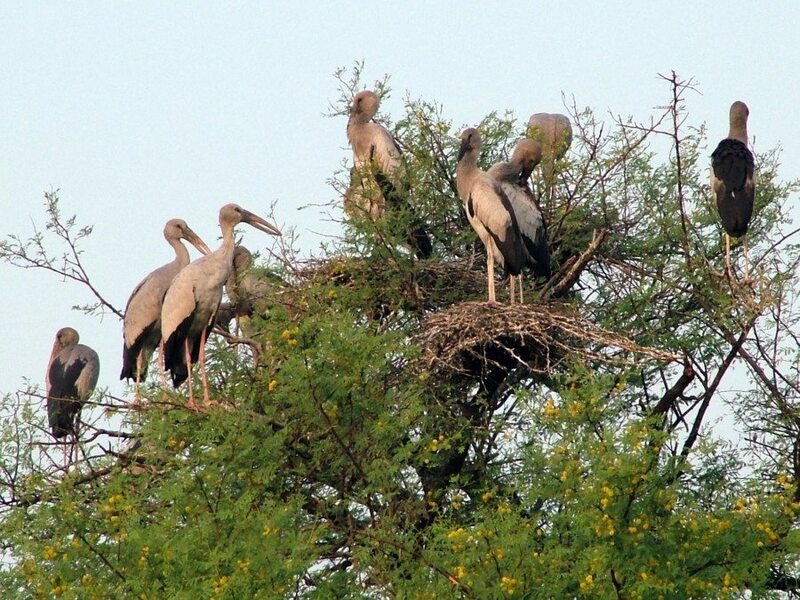 After breakfast, you pay a visit to the world famous bird sanctuary, Keoladeo Ghana National Park, the nesting place of thousands of egrets, Siberian cranes, migratory water fowl and other species of birds. From Bharatpur you re-join the train for the journey to the Taj Mahal, one of the seven wonders of the world. 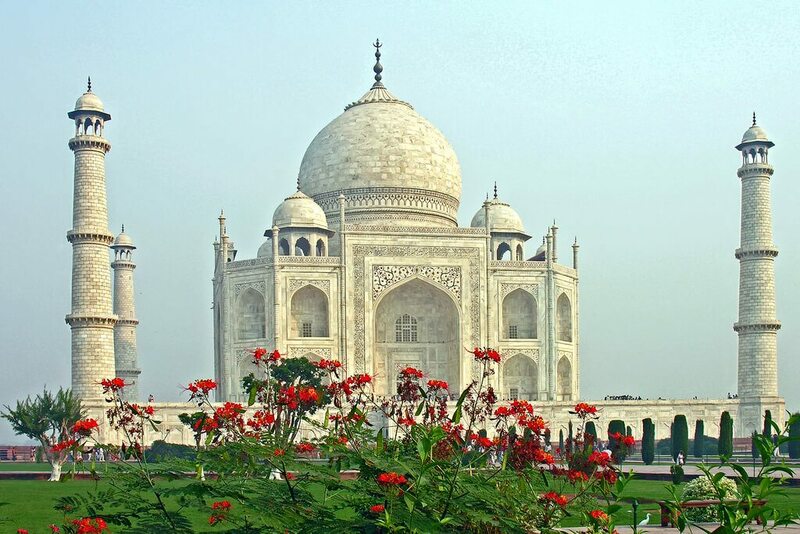 This pristine monument of undying love was built by Emperor Shah Jahan in memory of his beloved queen Mumtaz Mahal. 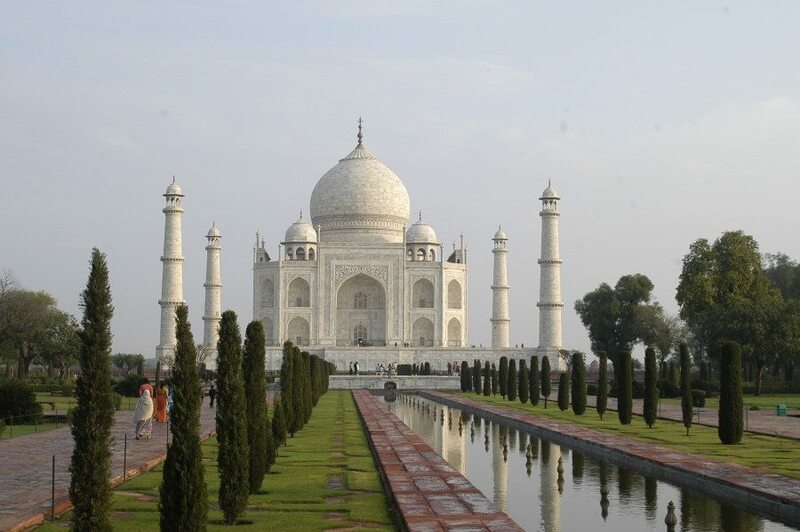 This is followed by a visit to Agra Fort and other monuments and tombs about the town. 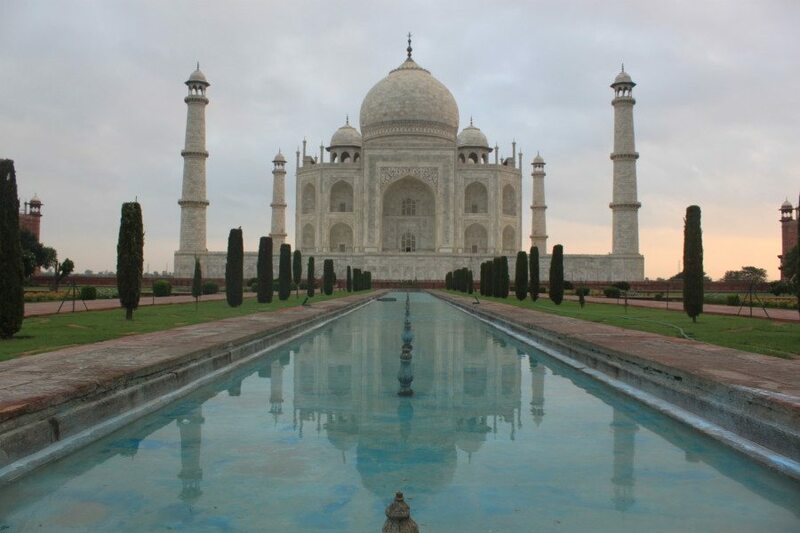 Agra is known for its splendid marble inlay work, such as the Pietra Dura on the Taj Mahal itself, leather goods and jewellery. The luxury coach will take you back to Palace on Wheels for dinner this evening. 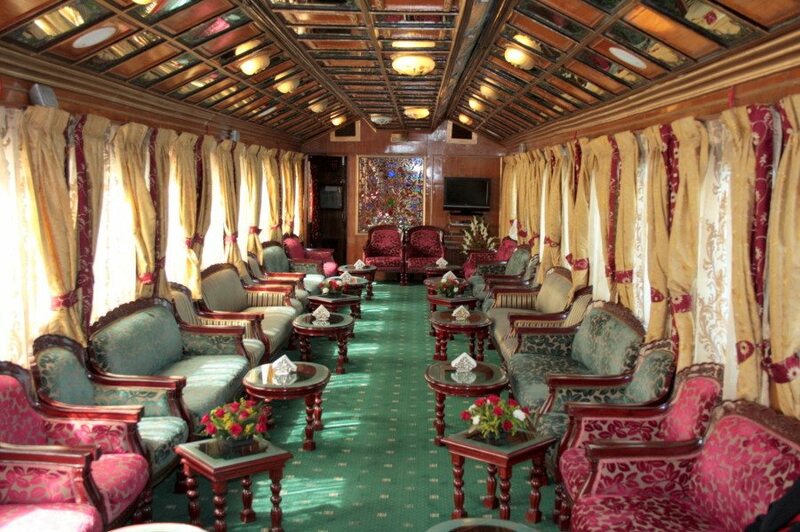 Savour your final night on board the Palace on Wheels and perhaps enjoy a drink in the lounge bar. This morning breakfast will be served in your sleeper cabin before you disembark from the train at Safdarjung Railway Station. Here your transfer will take you back to Delhi International airport for the connecting flight back home. The Palace on Wheels is comprised of 14 fully air-conditioned deluxe saloons, equipped with world class amenities to enhance the pleasure of travelling. On board, you travel in regal splendour with each coach named after the former Rajput states, matching the aesthetics and interiors of the royal past. Each saloon features channel music, an intercom, attached toilets, running hot & cold water and wall to wall carpeting to make you feel at home. Whilst on board you have a personal attendant or ‘Khidmatgars’, who are at your beck and call to extend a courteous helping hand, should you need anything during the journey. The train has two lavish restaurants “The Maharaja” and “The Maharani” with a Rajasthani ambience, serving palate tickling continental, Chinese, Indian and Rajasthani cuisines. Guests can also relax in the bar area and choose from a wide selection of Indian and international spirits. Located in Lutyens New Delhi, The Claridges (5 star) offers 132 rooms with old-world charm and contemporary furnishings. 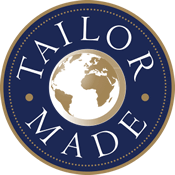 Each of the wooden-floored rooms feature a flat-screen TV, pillow menu, minibar, tea/coffee making facilities, a safety deposit box and ironing facilities. Guests can enjoy the benefit of free WiFi and the hotel also boasts a variety of amenities including a shopping arcade, health club and a temperature controlled outdoor swimming pool. This luxury hotel boasts a choice of over 7 dining options, Mediterranean and Northern Indian cuisine are served at the Sevilla and Dhaba restaurants respectively. Pastries are available at Ye Old Bakery Patisserie and Jade serves Chinese food. Guests can also choose from a variety of beverages at the Aura Vodka Bar.